1-1/4"h x 2-1/4"w ORM shipping labels. Clearly mark shipments containing materials classified as other regulated materials or hazardous substances in an amount requiring reporting to the U.S. Coast Guard National Response Center. 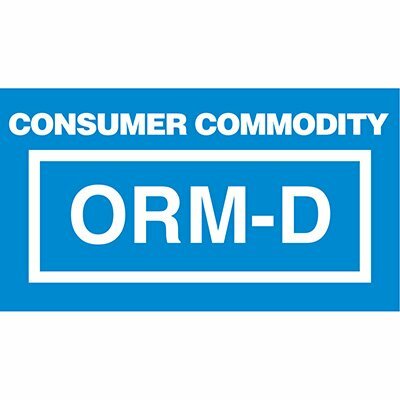 Label reads: CONSUMER COMMODITY ORM-D.